Do you guys remember that one time in May my sister-in-law got married and Callum got us all horribly sick? (Here's a good refresher.) Despite not feeling 100%, everything was beyond beautiful and I still had an amazing time at the wedding. 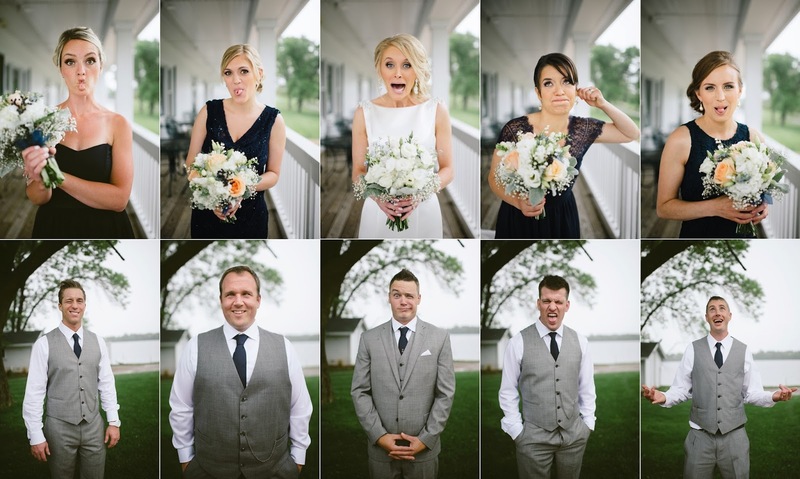 Dana and Rob were married at the Lake Wissota Golf Course in Chippewa Falls on May 29. Matt, Callum, and I were all members of the wedding party, and were so honored to be a part of the special day. The best part of the day: Callum was in a bow tie. He's never looked sharper. I've been waiting on the edge of my seat for weeks to see the wedding photos and share them with you. And, ladies and gentlemen, the day has finally arrived! The photos were done by Emily Schmidt Photography and she did such an spectacular job! I love every single photo she took. (Follow her on Instagram for a daily dose of gorgeous shots.) I tried to pick only my favorites to post, but there are still a ton. It was just too hard to choose. What a beautiful wedding! You all look gorgeous and I LOVE your dress! Callum is SO darn cute!